If press coverage is any measure, it appears that electric vehicles (EVs) have finally arrived. Tesla’s Model S was named Automobile Magazine’s Car of the Year, the Nissan Leaf is topping the EV sales ranks and the industry is abuzz with anticipated sales impact of BMW’s super-light i3. 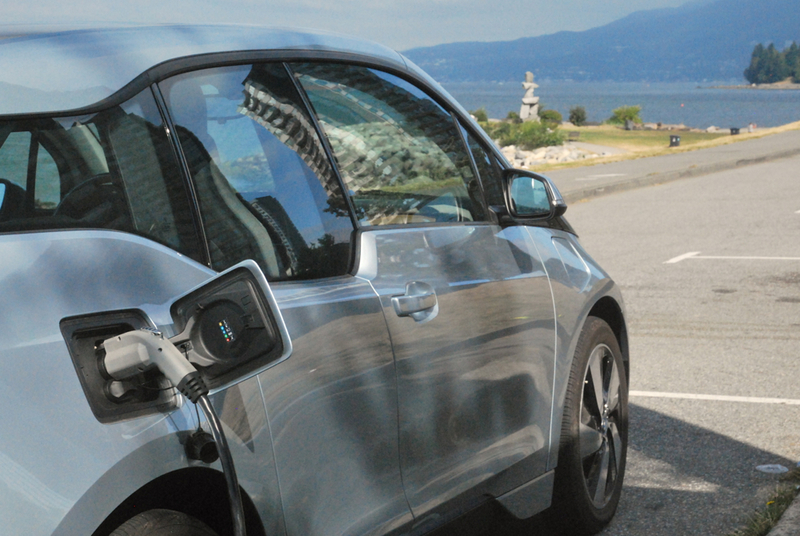 Yet for all the hype, EVs remain more common in glossy magazines than in peoples’ driveways. In Western Europe plug-in EVs made up less than 0.5% of total passenger car sales by May this year. It’s not hard to see why: at around £22,000 for the more affordable Nissan Leaf, and minimal resale market, it’s tough to see who beyond the early adopters are likely to take the gamble. The answer is: forget California or Tokyo, think the company accountant of your local delivery firm. It is in fact the business owner, fleet manager and procurement officers who are beginning to take a hard look at the benefits offered by EVs and are likely to be the driving force to mainstream adoption. To understand why, it’s important to recognise that EVs are not a like-for-like replacement for your standard car with an internal combustion engine. Petrol and diesel-fuelled vehicles benefit from a lower up-front cost, better range and established refuelling points; EVs offer cheaper running costs, zero tail-pipe emissions, low noise and the ability to charge where ever there is a power supply. In fact EV technology has long been used in regulated sectors such as indoor material handling (forklift, pallet trucks, powered stackers) or early morning milk deliveries, where regulations prohibit emissions or noise. Fuel prices, tax and incentives for low-carbon transport, improvements in technology and the greater availability of electric vehicles are now making commercial procurement managers and transport operators think seriously about going electric. For keen-eyed observers, a quiet transformation can be seen across the transport, logistics and commercial sectors. There are around 1,000 hybrid or fully electric buses funded through the Green Bus Fund on UK roads, with nearly a quarter in the capital. There are “green” EV taxi services from places as diverse as London and St. Austell, Norwich and Edinburgh. Major delivery firms DHL, Fedex, TNT and UPS all have electric vehicles complementing their fleet, with UPS alone boasting 380 hybrid trucks. Notable public sector fleets have trialled pure electric cars including 30 EVs for West Midland’s police, whilst commercial firms such as British Gas, keen to promote its charging services, aims to switch 10% of its vehicles to pure electric by 2015. Some of this change is simply a response to government incentives. EVs receive exemptions on both road tax and company car tax, low-carbon vehicles are waived the London congestion charge and public sector fleets can benefit from recently announced subsidies for ultra-low emission vehicles. But these initiatives, welcome as they may be, are vulnerable to changes in government thinking. Growth from below, driven by genuine demand for the benefits of EVs, will eventually be necessary. Cost savings: Each business saved between £700 and £1500 per year per vehicle, depending on usage. The top end of these estimates reflects reports from taxi firms, elsewhere in the country, that had adopted EVs to reduce costs. Suitability: The businesses operated limited and predictable routes, making it easier to schedule in the recharging times to specific times and locations, thus reducing range anxiety. The ability of businesses to automate the charging of vehicles on their premises or at home was seen as a positive. Environmental & marketing benefits: Participants saw reducing emissions as important, but also recognised the marketing potential of zero-emission particularly where it connected to their brand image or it distinguished them among their customers. This may be particularly important where corporate clients concerned about carbon emissions for regulatory or social responsibility reasons place stipulations about emissions in contracts. Keeping up with technology: After a home, a car is likely to be the second biggest purchase the average person makes, so investing in new technology in a state of flux is a big risk. No one wants a the Betamax of cars clogging up their driveway. Fleet managers with multiple cars can trial EVs for specific purposes and widen adoption only as the business case is made. Keeping up with technology means the business does not need to make any sudden changes later down the line that may be disruptive. This are also has a range of important implications for the broader consumer market: Exposure to EVs at work is likely to enables individuals to assess the strengths and limitations of the new vehicles without risking their own money. This is particularly true for owners of microbusinesses (fewer than 10 people) where individuals are likely to acquire a direct insight into the balance between life-time and up-front costs of vehicles. With more electric vehicles on the roads, their novelty image will fade; eventually, EVs will seem as normal as petrol-powered cars or diesel trucks. The most important and still unknown impact will be on the resale market. Consumers are unlikely to invest in high-value assets without some assurance that the vehicle can be resold and without a precipitous level of depreciation. With so few electric vehicles on the road the second-hand market is highly volatile. In the US, Teslas are worth more used than new, as demand for new models outstrips supply and a small number of buyers distort the market – but amongst other models there is evidence of precipitous reductions, reflecting the uncertain fluidity of the nascent market. As more vehicles from corporate fleets become available demand for a resale market will increase, creating a benchmark for asset valuation. However prices are likely to remain volatile while the technology continues to change. So while electric car manufacturers are likely to remain in the headlines, it may be the spreadsheets of company back-offices that will see electric vehicles take over the roads. Richard Brooks receives funding from the European Commission.